Going under the knife is scary stuff. A lot of factors need to be taken into account when weighing up the risks. Generally a doctor will be able to advise you on the best route to take, but if you’re still undecided you may want to consider some of these factors. Sometimes it’s reassuring to get a second or even third opinion before pursuing surgery. Most doctors will have your best interests at heart and will possess the knowledge to provide an accurate risk assessment, but there may be cases when you don’t trust one particular surgeon (either they seem too keen to try one option – perhaps for personal or hospital interests – or they seemed vague on the details or diagnosis). After having collected multiple opinions from professionals, you will be able to tell which ones are those most frequently recommended opinions, and therefore the most trusted. Or alternatively you may want to go with that one surgeon that persists they can do it a different way. There may be various forms of keyhole surgery and advanced medical techniques that could be less invasive – something to consider if you’re worried about scarring. For example, instead of heart bypass surgery, you may be equally eligible for a stent. Not all operations have a non-invasive alternative, but it’s worth asking about just to check if it’s a possibility. For certain aches and pains, medication may be an alternative to an operation. There are some thyroid problems for example that may be fixable with surgery but not guaranteed, whilst taking medication may be a long-term but effective substitute solution. This may benefit those with certain religions who are against invasive surgery or blood transfusions. Note that not all medical or herbal alternatives are as effective is surgery. It’s common to get bogged down worrying about what could go wrong, without considering the fact that many surgical faults can be repaired. Only major faults will result in permanent injury. 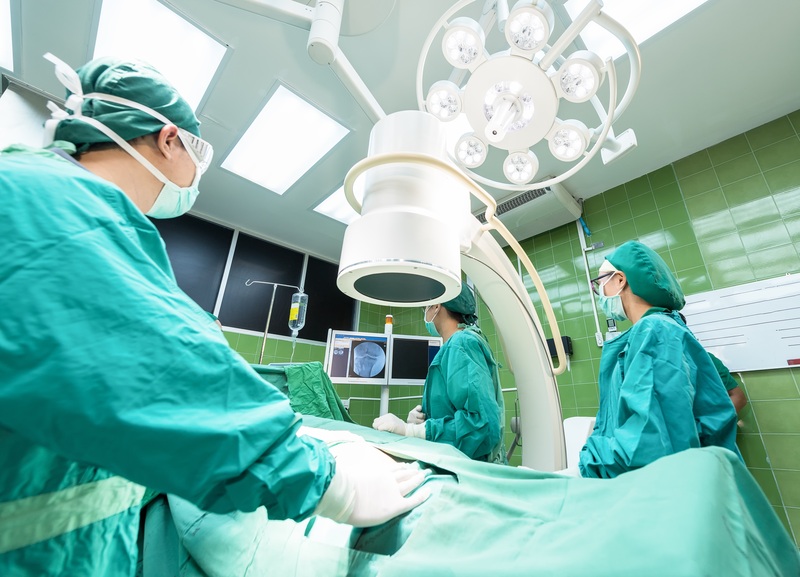 In all cases, medical malpractice is something that can be taken to court, so that you can attempt to get compensation for the mistakes made against you. Risks can often be reduced by living a healthier lifestyle. If a doctor has prohibited surgery or recommended against it due to your health, you shouldn’t dismiss it as an option entirely, especially if you have the time to choose when and where to have your surgery. Find yourself a strict diet plan and a personal trainer and get yourself in shape for the operation, then ask the doctor for an opinion again. Many surgeons may set a weight loss or weight gain goal to achieve before being considered for surgery. Remember that an operation puts extreme stress on your body – whilst you may consider yourself healthy enough, you may need a certain weight so that your body can deal with the inactive recuperation period after surgery.